How to make the distinction between acceptable and unacceptable alcohol-related content in your articles. 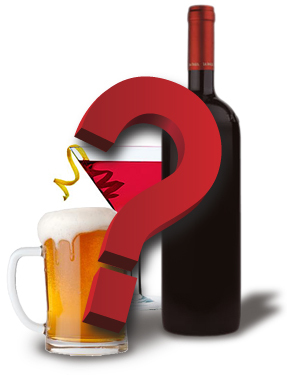 Addressing the topic of alcohol or alcohol consumption in your articles is one of those subject areas that is fraught with potential misunderstandings. Your reader’s reaction to your article will be influenced by a variety of outside forces including religious upbringing, social status and cultural norms. Because of this perceptual “gray area,” EzineArticles has created the following set of guidelines to help you better define the line that exists between acceptable and unacceptable article content. Simply Stated: You are allowed to mention alcohol in your articles, but not allowed to promote the use of alcohol or heavy drinking. Vacation Destinations – For example, fine coconut rum that is well known at a specific travel destination. Father’s Day Gift Suggestions – A tie, golf clubs, gift card, or a fine bottle of whiskey. Recipes for Alcoholic Beverages – Summer Hummer, Whiskey Iced Tea, Banana Daiquiri, etc. Bottom Line: Any article that encourages the reader to drink alcohol will not be allowed. We think the distinction is pretty clear. But if you’re still unsure, please leave a comment and we’ll try to clarify that fine line for you. This is really a good to understand first before publishing any article and in this case it is more and more importent. Hi, i appreciate your fine line re:alcohol.I do not drink nor advocate drinking,so, i intend to stay away from the topic because it is a sensitive area. Nice, clear guidelines. It hasn’t ever come up in my articles, but I suppose it could when I write about health, nutrition, and diet. I am curious to know if just because I mentioned the best way to drink scotch whisey is on the rocks is why I get flagged with that article having a ‘problem’. Well, for one thing, only a complete pig drinks scotch whisky on the rocks – unless you are drinking cheap supermarket brands, in which case the proper mixer is turps substitute. Here’s to your early recovery. On-the-rocks (or “rock” – 2 cubes max) is a proper way for people in civilized countries to drink scotch. For people who live in third-world countries (like Scotland), where ice is unavailable, Scotch is consumed “neat”, by necessity. Many Scotch enthusiasts drink it neat by choice. On-the-rocks or neat is a personal choice for most people in the civilized world. It has nothing to do with being a pig. One does not achieve “pig” status until one chooses to mix Scotch with soda, or worse (I have witnessed the consumption of Scotch and Coke!). More to the point; the guidelines appear to me to be a cowardly surrender to the forces of prohibitionism, the real Evil Empire, the plague of the modern world. Kathy should be able to write about her favorite way to drink Scotch, without her article being flagged. As a college professor who teaches future addictions counselors, many of whom are themselves in recovery from addiction to alcohol and/or other drugs, I am delighted to see that you have adopted this policy. It is well balanced and acknowledges that alcohol per se is not undesirable, but that misuse of it is – as with just about everything. Thanks for clarifying what is acceptable and what is non-acceptable when it comes to alcohol articles. Although I disagree with your standards, it is good to know what is acceptable and what is not. Thanks for this clarifying. I’d like know more about this. I think you`ve taken a good, sensible approach to what can be a sensitive subject. There goes the Egg Nog this Christmas Season. Well, you know alcohol is indeed a neurotoxin. And if you do drink too much your articles are probably going to turn out pretty lousy indeed. In theory I agree with you, but, on the other hand, tell that to Hemingway! Ha ha ha, alright! Great point? Thanks. Excellent come back! I have article with title “International destinations: Top places to get hangover!” It is travel related. Ezinearticle moderator has declined it because of this article includes some wine places. I have submitted it two time but all in vain. Please help me. I would recommend that you change the title so as not to promote drinking and allow the article to draw on the travel readership as “Travel Desitinations” is your focus. Having “hangover” in the title builds a misconception and allows your readers to focus on what you don’t necessarily want to highlight. If you have further questions on this, I would recommend contacting us via our member support channel. I think that most of your editors are actually taking too many liberties with these guidelines. These days, if I mention beer they automatically decline my article until I remove a comma or something. Plus, I once wrote an article that mentioned whiskey and I was told to remove the mention of hard alcohol. But, your guidelines say that it would have been ok.
Something else I noticed just after submitting my last comment, my beer articles are getting declined until I chang something that references hard alcohol or the promotion of drinking and then I see the Google advertisements on the side. Bartending School and Alcoholic Drink Recipes are two ads sandwiched in between a handful of Alcohol Treatment ads. Mixed signals? I do not condone alcoholism or promote excessive drinking of alcohol, however i do believe that people have a choice as to what they read and choose to do with their own lives and therefore dont agree with this rule. People need to take responsibility for their own actions and stop blaming “an article i read” or “advertising” for their own short comings. I wish all instructions were written this well.